If you have spent a long time as an employer, you most likely have a pool of locums you like to contact when you have a gap to fill. Those are your go-to candidates, the tried and tested pharmacists you know you can rely on. You may have found these super-locums through agencies, through a friend or colleague, or simply by coincidence, but you find that you have to go through the same agency gatekeepers or manually keep track of their direct contact details. Wouldn’t it be handier if you could keep all your locums in one place? We thought so too. That’s why we decided to add our new feature: My Locums. With My Locums, you can not only find and hire locums registered with Locate a Locum, but if you would prefer to contact those super-locums you know and love, who aren’t registered with us, you can now do that too. These locums won’t have the full benefits of the app without registering, but what they will be able to do is see shifts from your company and apply for them. You can also make internal notes - for your eyes only - about these locums using the Locate a Locum platform and send direct messages too. What’s better is that, for your direct locums, we wave all those bothersome booking fees agencies are so fond of. With Locate a Locum, you can fill shifts with direct locums at no extra cost. If any of these locums decide that they would like to be a part of Locate a Locum, of course, they can simply register and get full access to all of the app’s features and information. Registering also benefits you, you will then have access to a full profile, their contact details, documents and accreditations, notes and messager, all accessed from the My Locums page. Everything really is in one place. 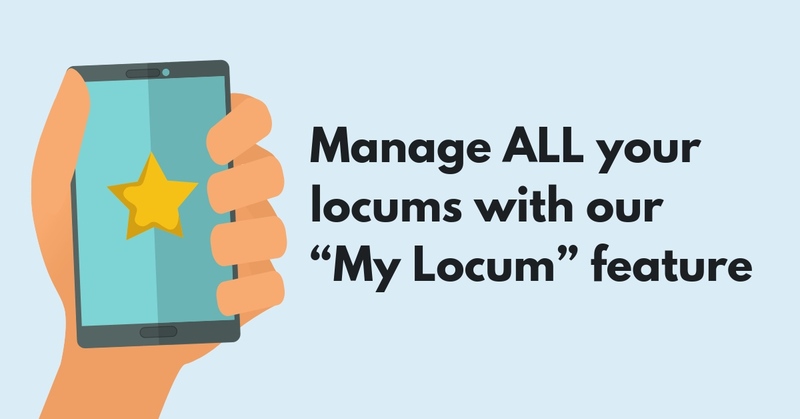 You can invite your locums now, with our Locate a Locum app, available for download in both Apple and Android stores. Click here to download from Apple Store. Click here to download from Google Play.